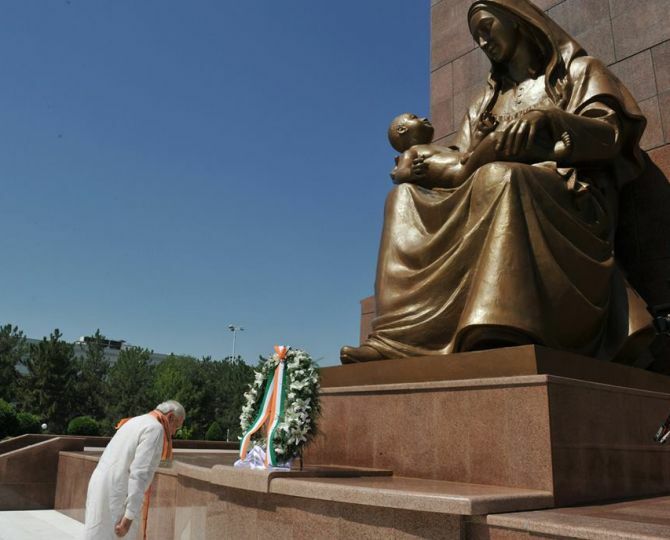 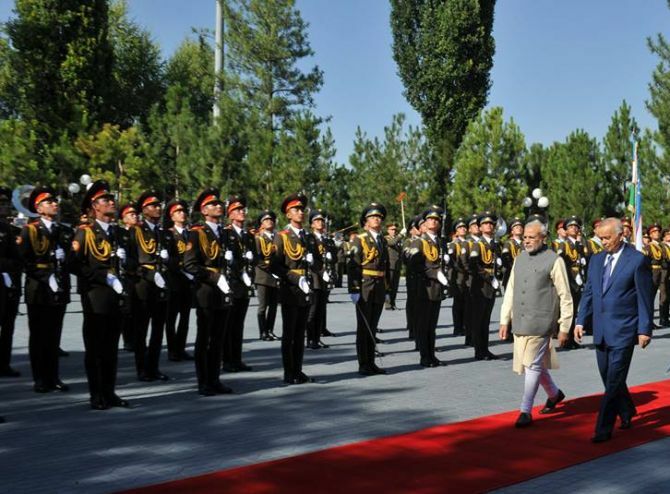 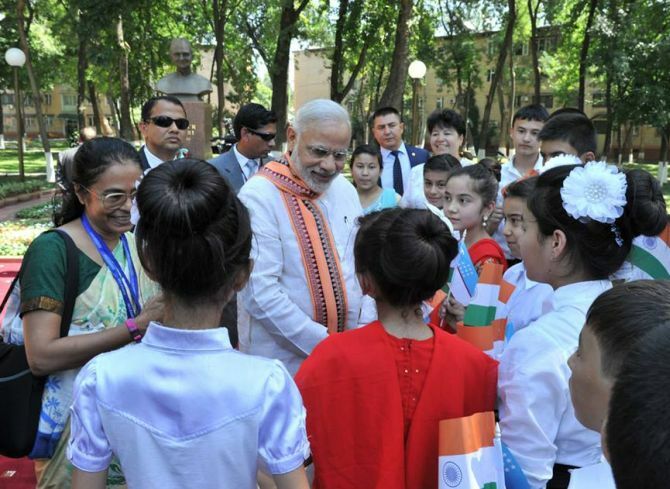 Prime Minister Narendra Modi arrived in Tashkent, Uzbekistan on the first leg of his eight-day visit to Central Asia and Russia. 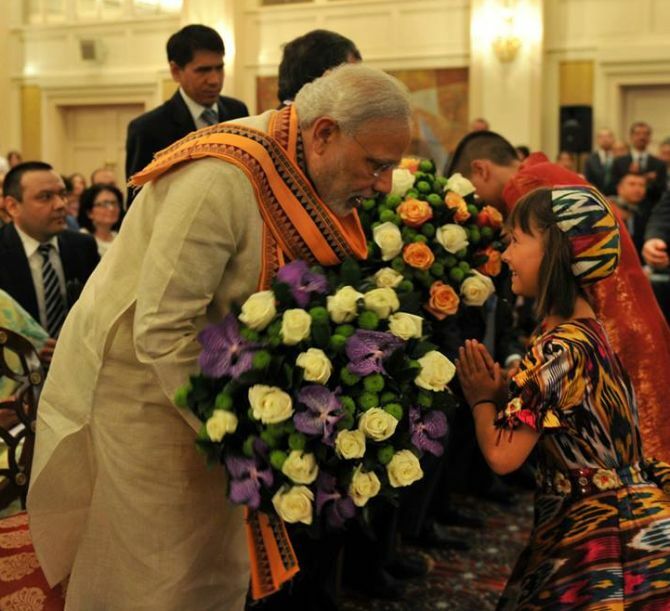 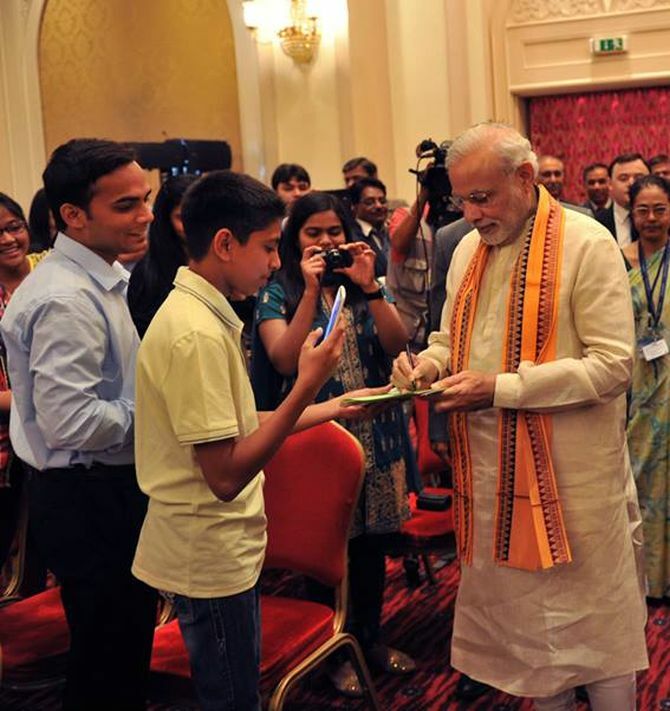 Apart from discussing energy and tourism issues, the PM spent time indulging in soft diplomacy. 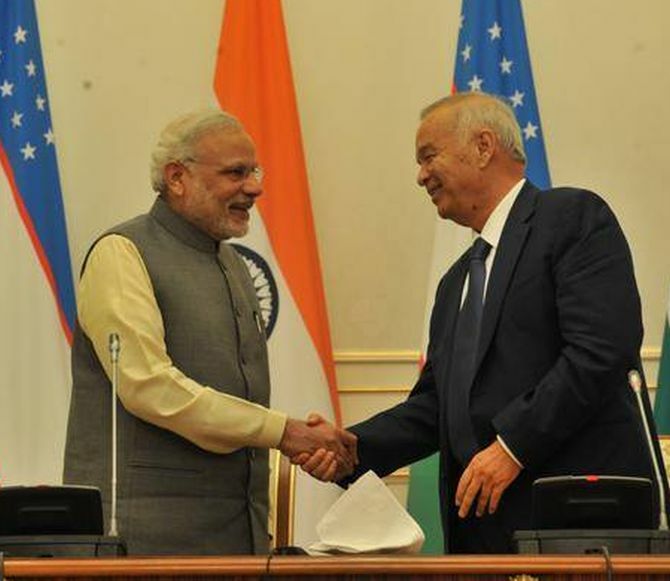 From Uzbekistan, the PM will go to Kazakhstan and will then travel to Russia on July 8, before flying to Turkmenistan on July 10, Kyrgyzstan on July 11 and Tajikistan on July 12. 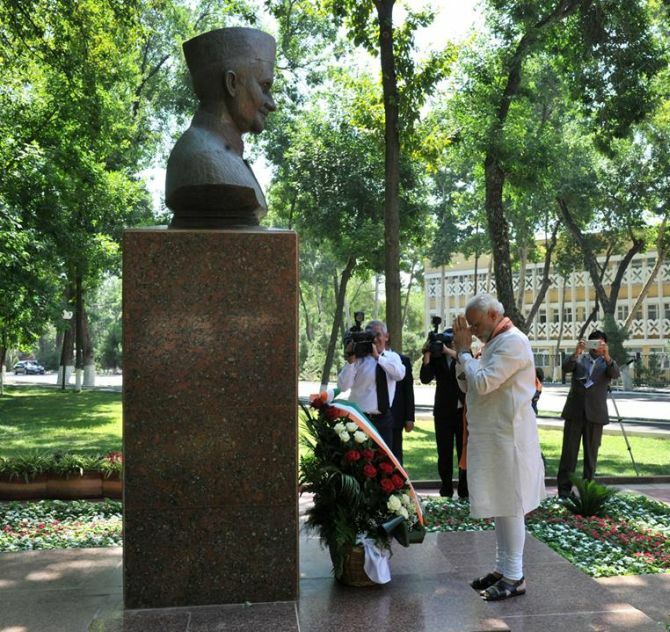 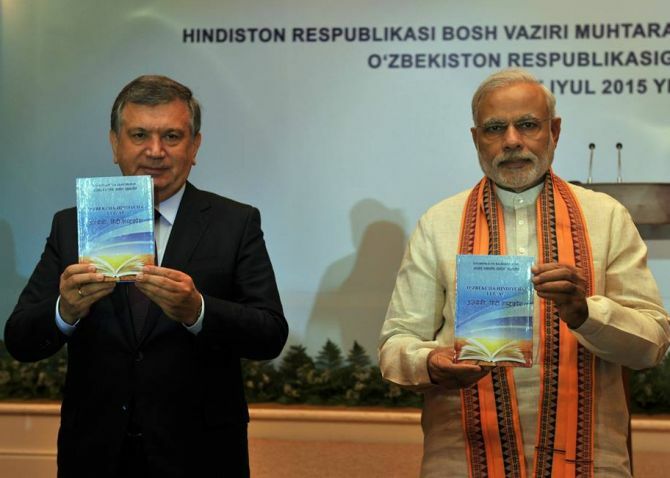 Here are some top moments from his Uzbek visit.